I often suffer with dry ends and sometimes a bit of frizz after a few days of not washing it. I am constantly brushing my hair and styling it, which definitely takes its toll. 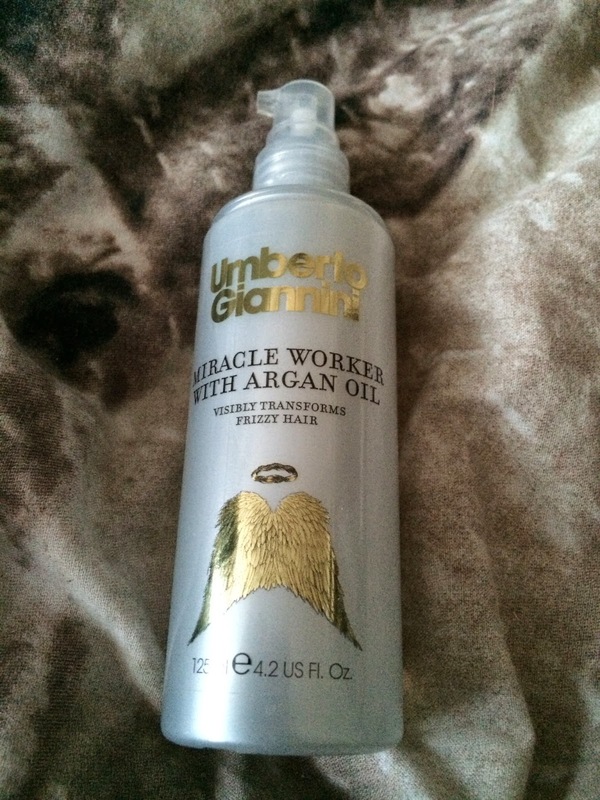 I was browsing the premium hair care section in Boots and noticed this product by Umberto Giannini which is one of my most loved brands. This product claims to transform frizzy hair. It's great for cold weather as my hair decides to rebel when it's windy and rainy. It's so difficult to quickly style it in a way which will protect it from such weather when I'm rushing trying to get ready for work in the morning. I am in love with this product! The scent is A-MAZING, and using a small amount really helps to smooth and protect my hair. My hair is shiny and frizz free when I use this, with the lovely scent lingering in my hair all day long. One pump is enough for my waist length hair so this bottle will last me ages.